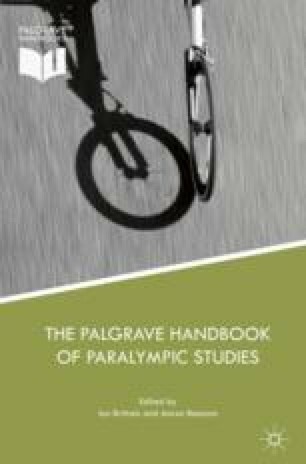 Possible legacy of the Tokyo 2020 Paralympics can broadly be divided into two parts: domestic impact and legacy, and international legacy. Domestic legacy can be achieved at least in four dimensions. Firstly, there can be legal, institutional or organisational legacy. Legal and institutional status of various para-sports federations can be more streamlined, particularly as a result of the newly established Nippon Foundation Paralympic Support Centre. Secondly, there is an economic dimension which is mainly focused on the wider employment of disabled persons and stronger commitment of business sponsorship. Thirdly, one can envisage social legacy ranging from stronger promotion of accessibility for and wider social inclusion of disabled persons. Fourthly, one can add technological development both in instruments used by disabled persons and in the software to be used for facilitating communication with and among persons with disabilities. On the international dimension, one could count on the possible outcome of the “Sport For Tomorrow” initiative under which sports for the disabled in developing countries are expected to be promoted through economic cooperation. ———. 2016. Official Website of the JPSA. http://www.jsad.or.jp. Accessed 01 July. The Japan Times. 2012. Tokyo’s Determined Bid for the 2020 Olympics, August 20. http://www.japantimes.co.jp/opinion/2012/08/20/commentary/tokyos-determined-bid-for-the-2020-olympics/#.WHxiYVOLSUl. Accessed 16 January 2017. The Japan Time. 2016. Checkered Pattern by Artist Tokolo Chosen as Logo for 2020 Tokyo Olympics, April 25. http://www.japantimes.co.jp/news/2016/04/25/national/checkered-pattern-chosen-as-official-logo-for-2020-tokyo-olympic-games/#.WHCIfLaLS2w. Accessed 16 January 2017. The Sankei Shimbun. 2016. Tokyo gorin hosuto taun, kennai kara5 ken kyampu yuuchi ni hazumi, January 27. http://www.sankei.com/region/news/160127/rgn1601270059-n1.html. Accessed 16 January 2017.